✚GET MORE AWESOME POSTS IN YOUR INBOX! Every single profession has its secrets, yet some professions certainly provoke our curiosity. Several airline employees were kind enough to share certain details of their work on social media. They are collected below and very interesting to read about. Enjoy! 13. The Repair Of The Minor Failures Does Not Happen Immediately. Needless to say, technicians will never allow a plane to take off, in case it is not safe. However, there are so many things that need to be checked before a flight and some of the minor failures that will not affect the safety are left as they are. They are repaired later so that the flight is not delayed. 12. Hand Grips At The Door Inside The Plane And What Are They Used For. The hand grips are placed there for the flight attendants, which should use them in case of panic onboard. As the attendants prepare the emergency exit, the people who are panicked can accidentally knock them down or push them from the plane. Then comes the role of the hand grips that help the attendant stay upright and in place. 11. The Menu Of The Captain And The Co-pilot Differ. There is one very good reason for that – in case one of them is poisoned and not able to pilot the aircraft, then the other one will safely land the place. That however is not valid for all airlines. 10. Luggage Can Be Opened, Even If There Are Locks. Locking the zipper of the bag is useless. It can be opened easily with a pen or pencil. This is sometimes done and the zipper gets damaged. 9. Smoking Onboard Is Forbidden, But Which Is The Real Reason? Smoking is prohibited onboard the planes. There are obvious reasons for that such as danger of fire and passive smoking. Yet smoking was allowed in the past and fires never happened. That is why we searched for the real reason behind the ban. And it is an economic one! The air onboard is filtered all the time, while the smoke wears out the equipment faster. Simple as that. 8. Why Luggage Gets Lost? There are several main reasons for that. · It was held for additional checks and was thus not loaded on time. 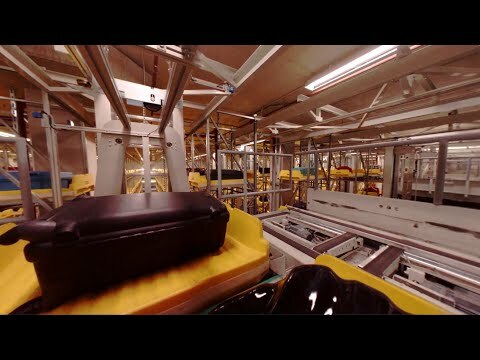 · A new employee has put the luggage on the wrong trolley. That is why it flew to another direction. · One of the airline employees has put the wrong sticker on the luggage by mistake. · There were old stickers on the luggage and that caused confusion. · The suitcase got either stuck or went in the wrong direction. That happens during the connecting flights. · The suitcase fell off the trolley on its trip to the plane and the stuff did not notice that. 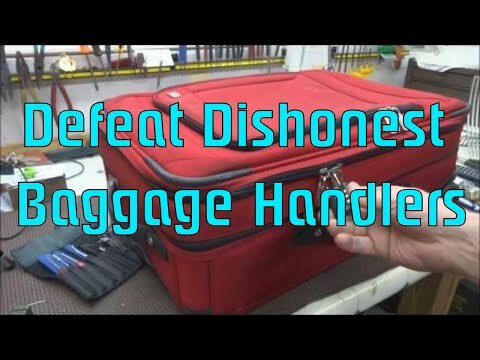 · The system for the recognition of the luggage made an error or the label applied got lost. Note that your name and contact information should be placed where they can be seen clearly on the outside of the luggage. 7. No Phones Onboard The Planes. Passengers are always asked to turn off their mobile phones. However, a phone can hardly cause a malfunction of the plane that can be critical. Yet, it can cause a static on the radio signal, which means that the pilots might not hear important information from the dispatcher. 6. Cheaper Air Tickets For The Airline Employees And Their Closest Family Members. A lot of airlines give their employees free or at least cheaper tickets for themselves, their kids and spouses. Usually, when an employee buys a ticket, they need to pay only for taxes and duties and the flight is free of charge, which is pretty awesome. 5. The Opening Of The Lavatory Door. The lavatory door can be easily opened from the outside, thanks to a special switch placed on the door which is hidden under the sign that reads "No smoking" or "Lavatory". That is so to avoid the breaking of the door in case someone feels sick inside. 4. The Right Time To Buy Tickets? The common belief is that the earlier one buys an air ticket, the cheaper they are. However, that is not quite true, as the cheap tickets are bought first. Even so, on Tuesdays, Wednesdays, and Saturdays the airplane tickets are a little bit cheaper than usual. 3. Politeness Always Gives Good Results. The more respect you show to the flight attendants, the better it is as they can do much more things for you. For example, if you kindly ask you may receive a better meal from first class. Or if your neighbor is noisy, they can offer you another seat. The flight attendant can do a lot of things for you, but only if you’re nice. In case you are a troublemaker, then you will get the minimum. 2. Aisle And Window Seat Armrests Can Also Be raised. Many people get irritated that the aisle and window seat armrests are fixed in place. However, it’s not quite so: to raise them, push the small button hidden near the base of the armrest. Still, be prepared for flight attendants to ask you to return them to their initial position. 1. These Runway Numbers Are Important. In case you have wondered about the huge numbers on the runways, you should know that they indicate the degrees that runway is from the magnetic north, rounded to the tens. In this way the pilots know which grade to take. GET MORE AWESOME POSTS IN YOUR INBOX! Dimplify ist Ihre beste Quelle von Spaß teilen, was Sie interessant finden und entdecken, was den Tag..